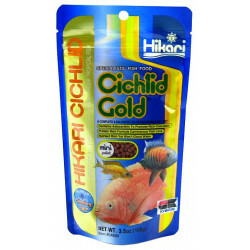 Hikari Sinking Cichlid Gold Mini Pellets make a complete and balanced color-enhancing daily diet. Contains Astaxanthin to promote rich coloration. Protein rich formula carnivorous fish love. Nutrient rich yet won't cloud water. 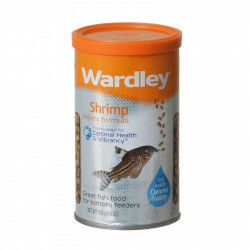 I actually feed this to my Goldfish. They love it. It discourages top feeding, so that my Goldfish are not gulping air and helps to prevent swim bladder from happening. It's a great food. 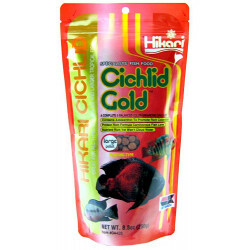 Hikari foods have been around for many years and the quality of their food still remains top of the line. Cichlids are fighting over it! 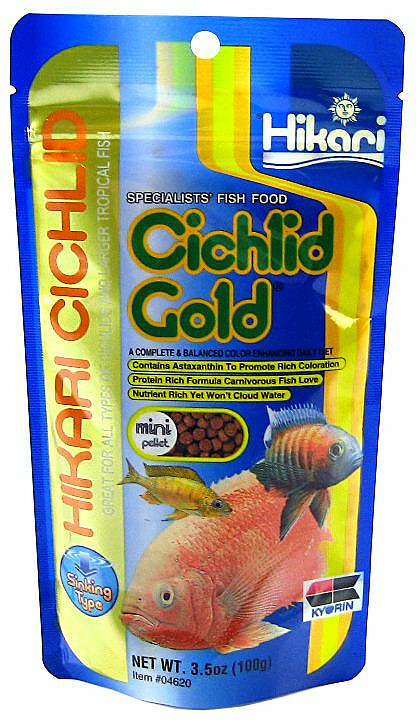 My Cichlids love this floating food. Funny to watch the smaller ones swimming around with their mouth full! So much food, barley cost me anything. All of my bass and arowana love this food as a everyday staple. Not to mention how fat they are getting off of this food. Best price on the web. My 4 Parrot Cichilds love them. I feed them twice a day & they always fight over this fish food. EVEN MY SILVER DOLLARS LOVE THIS!! 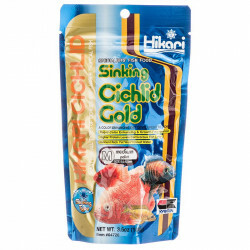 I AM SO GLAD HIKARI MADE A SINKING PELLET. NONE OF MY CYCLIDS, AS WELL AS THE TROPICALS IN MY TANK, ARE SURFACE FEEDERS. EVEN THE PLECOS ENJOY THESE PELLETS.